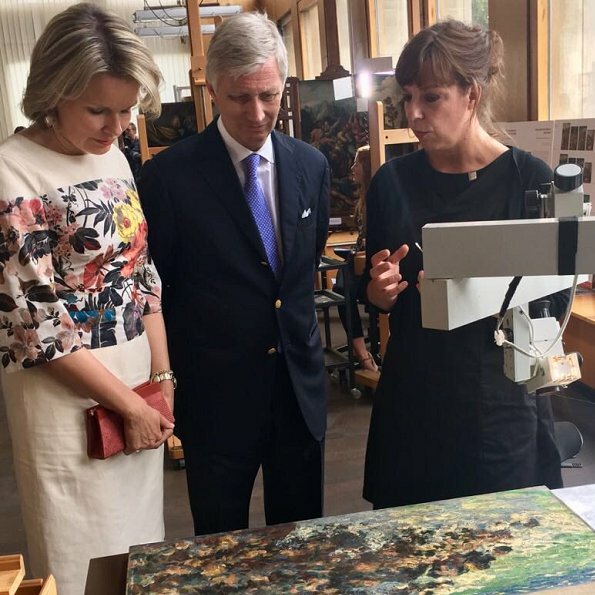 On June 11, 2018, King Philippe of Belgium and Queen Mathilde of Belgium visited the painting restoration workshop of the Royal Institute for Cultural Heritage (KIK-IRPA) in Brussels. The Royal Institute for Cultural Heritage (Koninklijk Instituut voor het Kunstpatrimonium - Institut Royal du Patrimoine Artistique) is a Belgian federal institute of the Belgian Federal Science Policy Office. 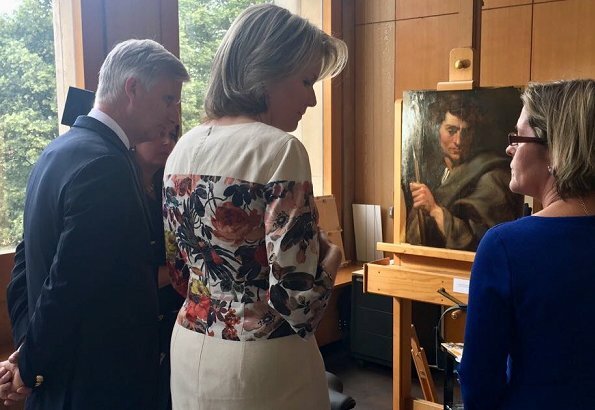 The institute studies and conserves the artistic and cultural assets of Belgium. Ooooh, I do love this dress and the accessories she chose to go with it. It is clever the way the print goes onto the top of the skirt unit, too. Very nice! This dress looks nicer from the back. Q Mathilde wore nicer and not so much. This dress can be tolerated,but her smile is great. 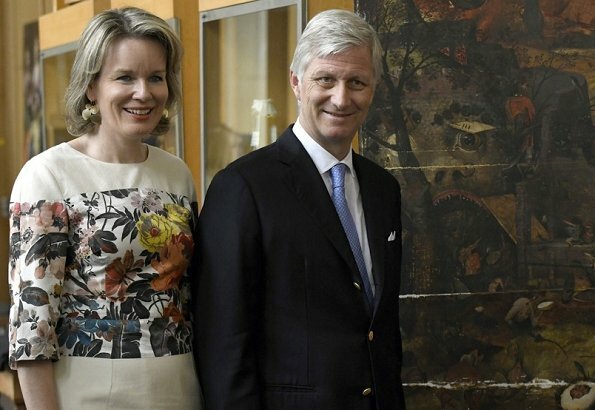 Sorry, I don't like this dress but the earrings… WOW, Like Queen Mathildes smile! Sorry Mathilde, this dress makes you look older than you are...... you can do much better! This moderate shift dress is nice and fits her well. It has the right length and the waistline is far better than usual. 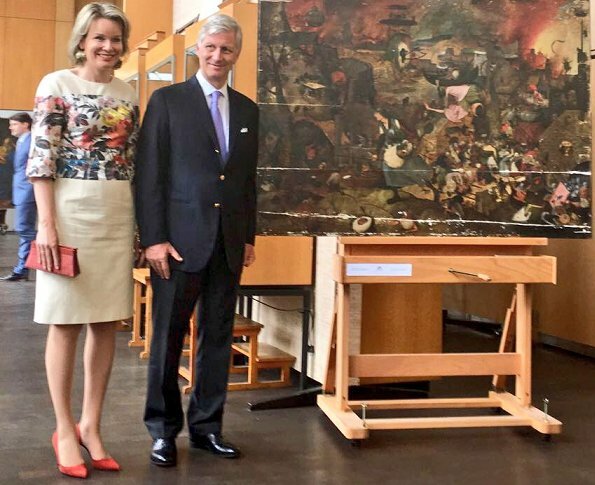 On the last two pics one can see how young Queen Mathilde looks. I wish, she would go for a better haircut that brings her beauty to shine. I am sure, she is a wonderful person with or without a new haircut - I just wish it for her.